If you have property that you need to protect or monitor during low or no light conditions consider purchasing night time outdoor security camera kits. These kits can provide you with all the equipment you need to effectively monitor and protect your property, without the need for expensive outdoor lighting. Thanks to modern technological improvements, these kits are reasonably priced as well. So what do night time outdoor security kits contain? Kits may vary based on manufacturers or vendors, but most kits contain at least two major components of a digital video security camera system: 1) Very low light or no light outdoor security cameras; and, 2) A Digital Video Recorder (DVR) with a Digital Signal Processor (DSP). 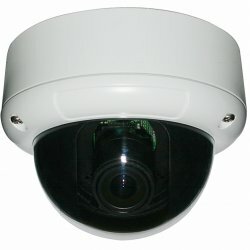 Since monitor applications differ, and many systems may be able to use an existing computer monitor for your security camera system, monitors are usually sold separately from the kit. Security Camera King offers a variety of digital video security camera kits including night time outdoor security camera kits. 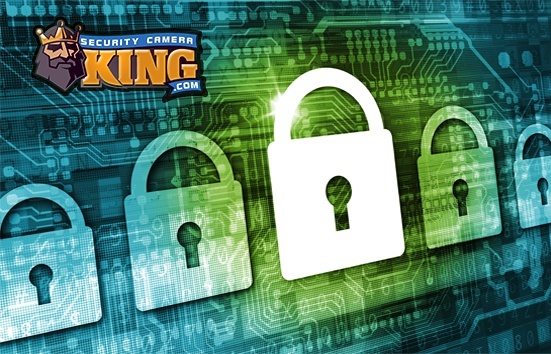 However, in addition to the digital video cameras and a DVR, Security Camera King’s security kits come complete with either plug and play camera cables or bulk cable, and either a multiple channel space saving power supply or a multiple channel power distribution box. A night time outdoor security camera kit is a highly specialized type of digital video security camera system. These systems contain cameras that are designed for outdoor use and can record video in very low-light or no-light conditions. Let’s take a look at these cameras. First, there are two basic types of digital video security cameras, indoor and outdoor. Indoor models are designed to operate under the protection of a building or cover of some type. They are not designed to operate when exposed to weather or the elements, such as rain, snow, hail, ice, etc. Outdoor cameras are designed to operate in outdoor settings, exposed to and offering protection to the camera from, weather and the elements. The cameras are normally enclosed by a protective covering. Outdoor cameras are often rated with an International Electrotechnical Commission (EIC) code or rating that indicates the degree of protection that is provided to the camera. The rating is called an IP code or IP rating. An IP code consists of the letters “IP” followed by two digits. The first digit indicates the size of the object that the camera is protected from ranging from 0 (meaning no protection) to 6 (meaning dust tight). Numbers from 1 – 5 indicate different sizes ranging from >50 mm to particles the size of dust. The second digit indicates the degree of protection against liquids ranging from 0 (meaning no protection) to 8 (meaning protection from immersion beyond 1 m in depth). For example, a very good IP rating is IP66 which means the camera housing is dust tight and offers protection against powerful water jets from any direction. Night time outdoor security camera kits normally include digital video cameras that are specifically made for low-light (also called low “lux”) or no-light (infrared) use. “Lux” is a measurement term used to measure the intensity of light. For example, the light available in full daylight, but not directly in the sun ranges from 10,000 to 25,000 lux. In contrast, the visible available light of a moonless clear night sky is approximately 0.002 lux. Low-light or low-lux cameras can record video in lighting conditions as low as 0.002 lux, depending on the quality of the camera. No-light cameras are usually called night vision infrared cameras. These cameras are designed to record high-quality video using near infrared illumination. The cameras sensor chip can detect near infrared spectrum radiation just like visible light; however, this illumination is invisible to the human eye. Infrared cameras usually have an array of infrared Light Emitting Diodes or LEDs that surround the camera lens or are placed next to it so that their infrared illumination is focused on the same field of view as the camera. There are also LED “Illuminators,” separate arrays of just LEDs that can provide illumination for the camera also. Generally, the more LEDs the longer the range of the camera, so when purchasing these cameras be sure they have the night time range that you require.